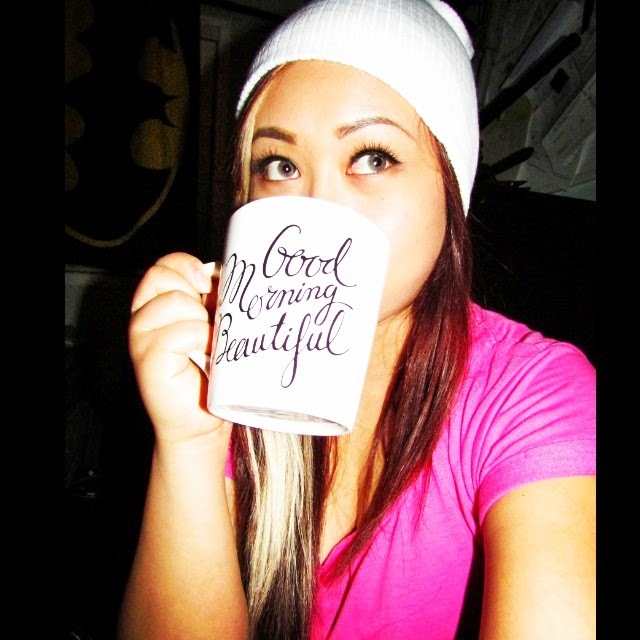 This blog post is like, beyond old and I just never got around to reviewing this product. I purchased this palette back in November, and when I first heard of the Be Mattenificent palette, I told myself I had to have it. 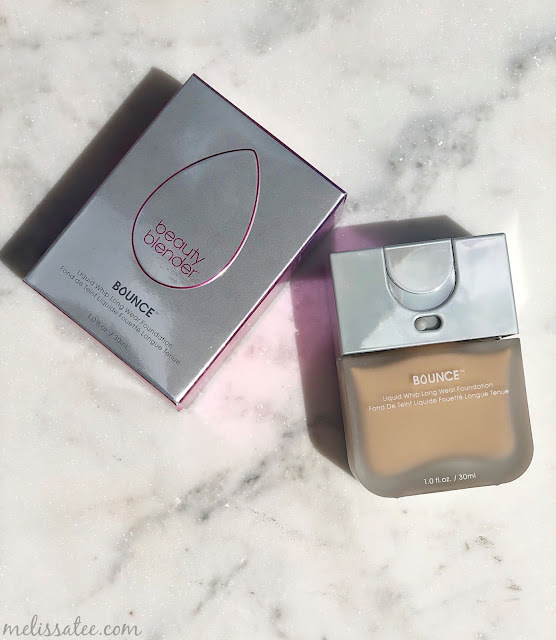 I think I bought it with like a 20-25% off coupon that Tarte was having on their website, so I took the opportunity to finally get my hands on this. This review is totally going to be underwhelming. Why you say? Because I'm not at all happy with this palette. 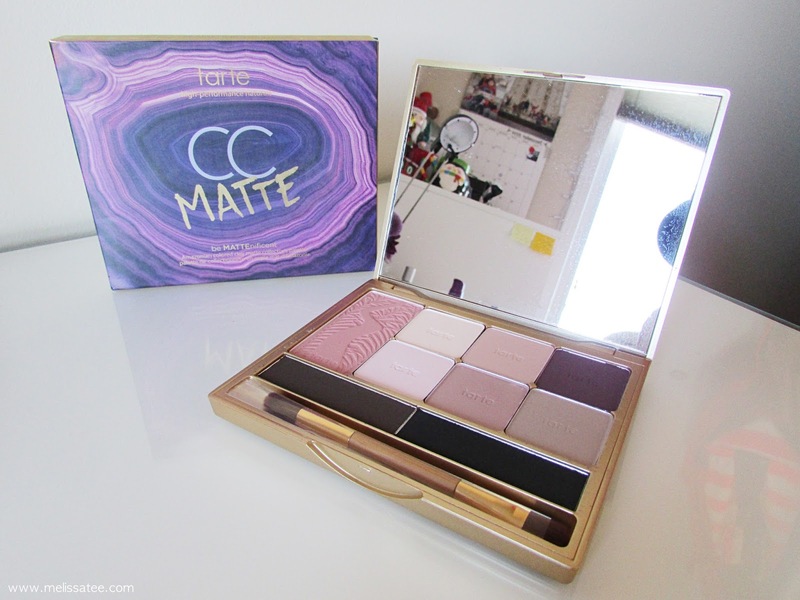 I got this palette around the same time that I got the Tarte Tartelette Matte Eyeshadow Palette, which of course I did a review on, and let me just tell you, it doesn't compare to that one. Maybe if I didn't get the Tartelette palette, I probably would of liked this one more. 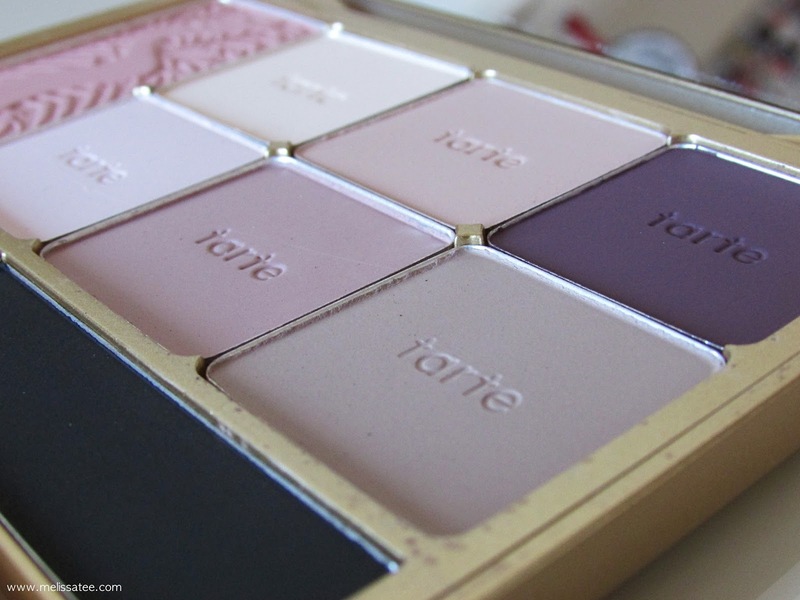 It's a very pinky/purple palette which I adore, but the pigmentation and formula fell flat on me for this palette. 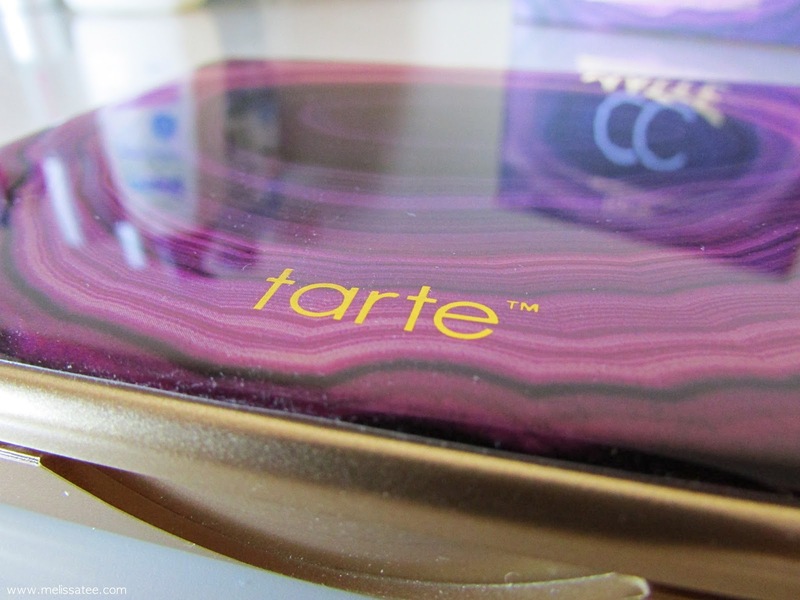 You can see a huge difference in the formula for this palette and the Tartelette. 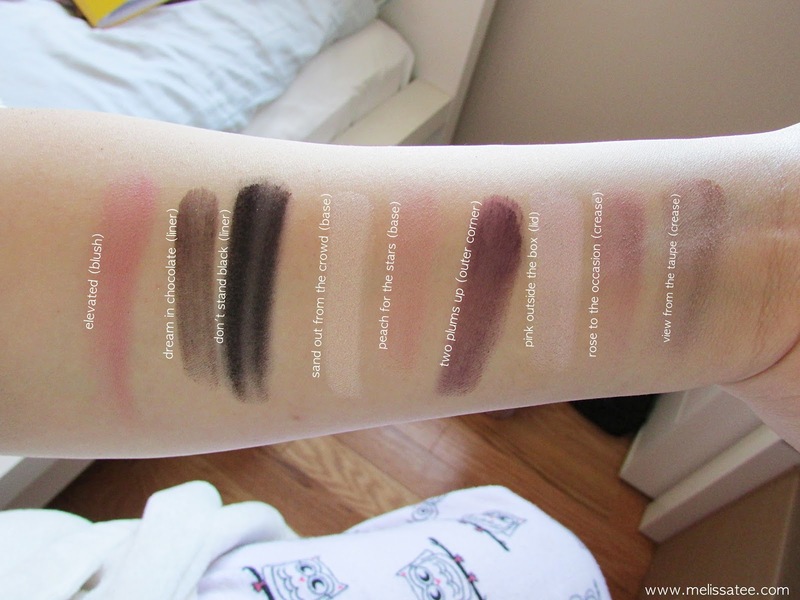 A lot of the lighter, pale, cream colours were extremely chalky and it wasn't very pigmented at all. You will expect a lot of fall out when you dip your brush in it. 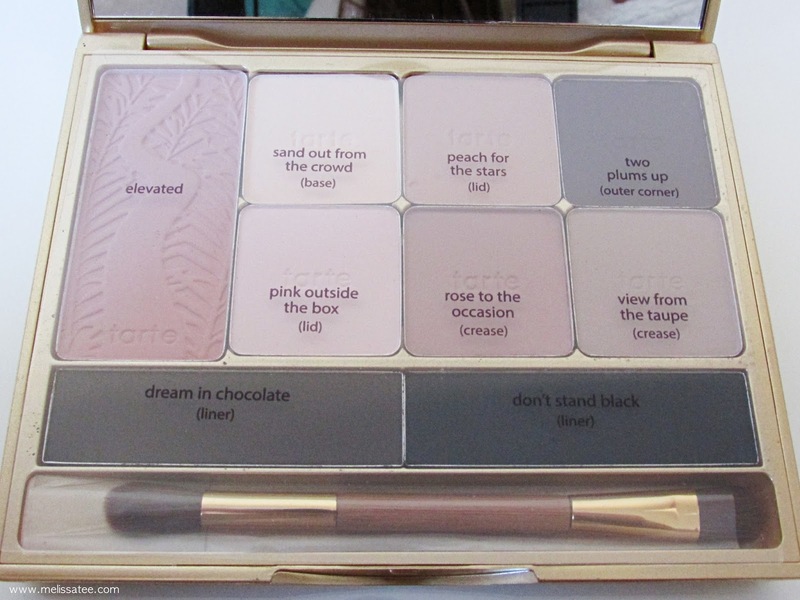 While the Tartelette has 16 eyeshadows, this palette has 8 eyeshadows (2 being the "liners") and a blush, which is overall a great palette for on the go, and it comes with a nifty double ended eyeshadow brush. The only good thing about this palette was the blush. 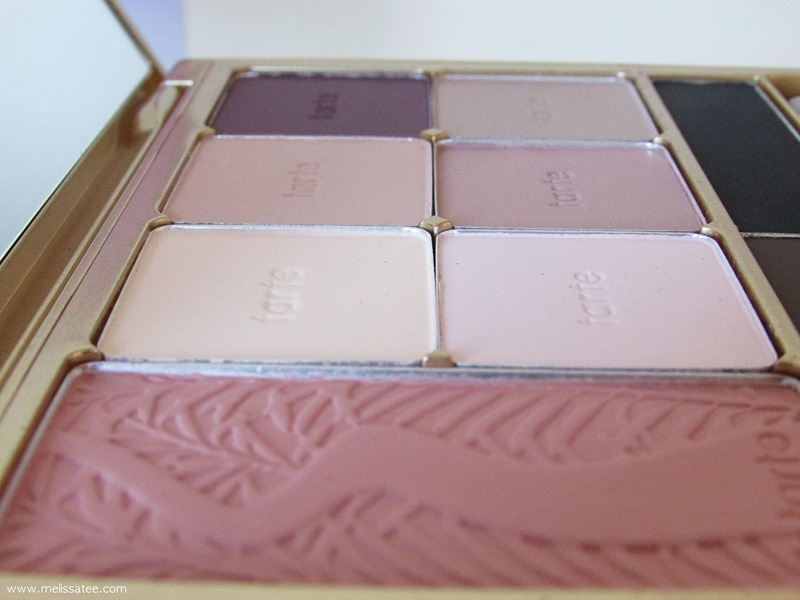 Tarte blushes are always amazing, so it was no surprise the one in the palette would be good too. The only eyeshadow shade that came out rather nice was "two plums up" which is the deep plum shade. It's such a pretty dark purple. The other colours are kind of whatever to me. 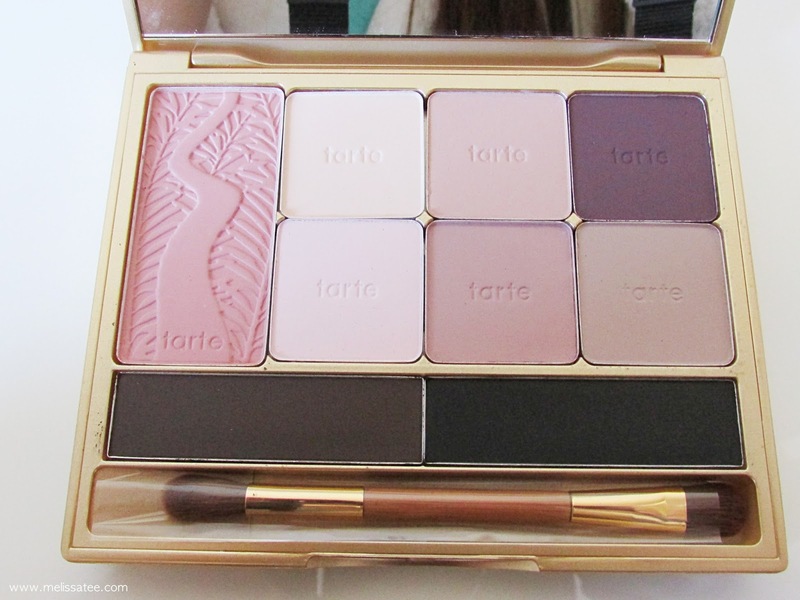 I'm sure I would of enjoyed this palette a lot more if I didn't have the Tartelette to compare it to. 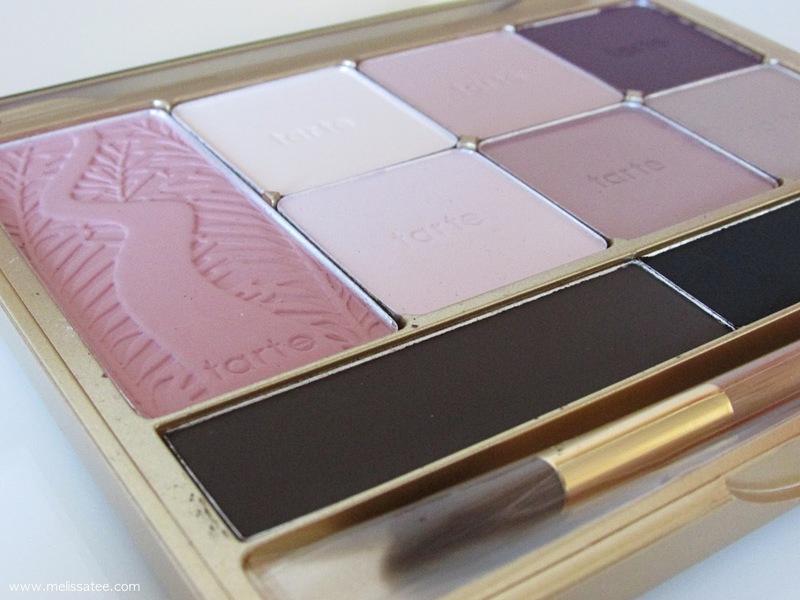 Overall it's an okay palette, but of course if you were on the market to buy a Tarte palette, go for the Tartelette. This palette looks amazing! 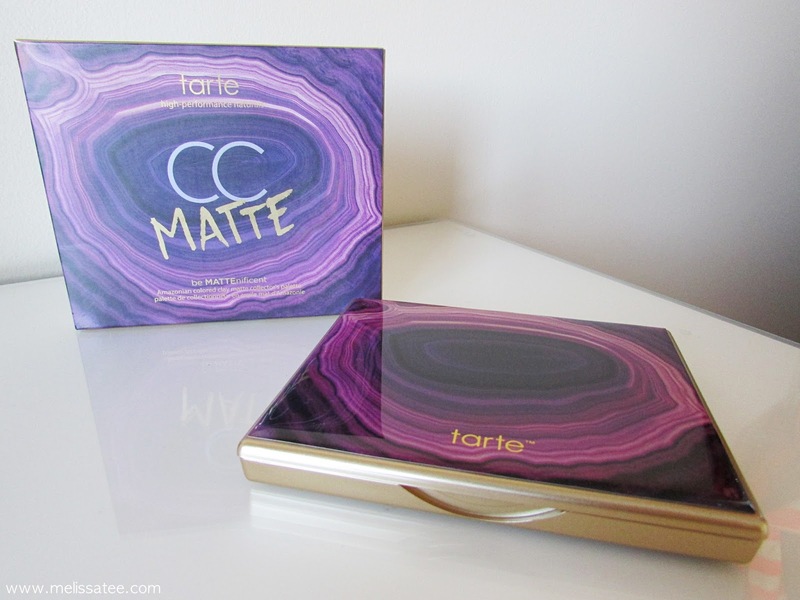 There are so many tarte products I want to try and now that sephora has come to sydney I plan on being bad and splurging on this brand, that product may get added to the list.